On a sleepy Sunday morning with many of Singapore’s shops and cafes closed, I tootled down to Chinatown with a visit to the Chinatown food complex in mind. A hive of activity across three floors, with clothes and whatnot on the ground floor, and a grocery shop including some impressive live seafood in the basement, my attention was on the first floor hawker food market which is extensive with a dizzying array of stalls. 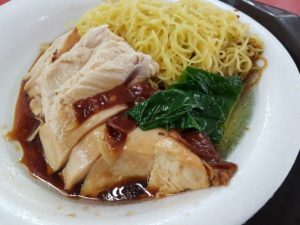 My sights were set on the original Liao Fan Hong Kong Soya Chicken Rice & Noodles stall run by chef Chan Hon Meng. Now trading as Hawker Chan it is known around the world for its status as the home of the world’s cheapest Michelin-star meal. Since making the 2016 and 2017 Michelin Guides with 1 Michelin Star, Hawker Chan has expanded to a restaurant nearby and a number of others including pop-up appearances around the world. 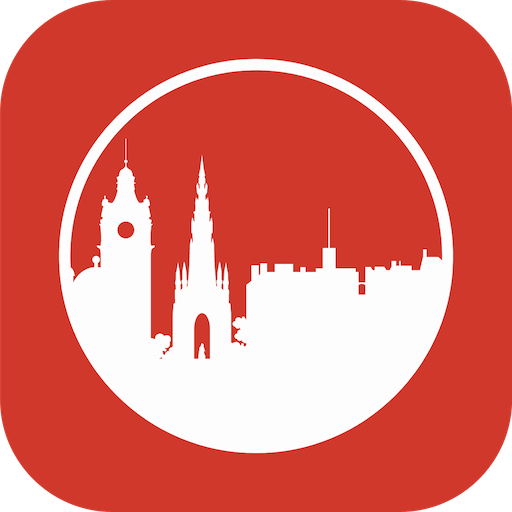 The stall has lost its star with the restaurant having been awarded a Bib Gourmand in the 2018 Guide. Whatever the case, the queues are still impressively lengthy for the original stall so after a 45 minutes wait I was left to choose whether I wanted to pay S$2 for soy sauce chicken and rice or S$2.50 for soy sauce chicken and noodles. I opted for the latter. Just to reiterate, that’s a (former) Michelin star meal for under £1.50. With item in hand, I grabbed a nearby table, took the required photos and tucked in. While it was undoubtedly a well-crafted plate of food with succulent chicken pieces, I’m not sure I found it that remarkable. Perhaps it was one of those subtlety dishes that are wasted on my palate’s broader tastes, but I was left a little bemused although thankful to have made the pilgrimage and queued in the queue for what is a dish of considerable note. So overall, I really enjoyed the Chinatown Complex and while the soy sauce chicken from Hawker Chan wasn’t quite the culinary firecracker one might have hoped for, it was still worth the visit. Especially if you’re a fan of queuing, add this to your list. 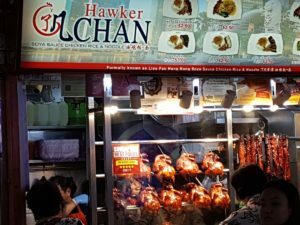 Postscript – I visited the Hawker Chan branch in Melbourne and it was comfortably the worst plate of food I was served in that city. This was a considerable shame and suggests their franchise model needs a complete rethink.